Need a holiday gift? Don’t know what to get those who have everything? Give them what they already have…their DNA! Each year, Family Tree DNA has a sale for the entire month of December, and all the major tests and upgrades are included! It begins today and ends Dec. 31, 2014 at 11:59 PM Central. Testing a family member or friend can reveal matches with others who relate to you that you have never met. These new relatives may have some additional information on your family and some photos you do not have. It can help you find new genealogical research partners. DNA is the gift that keeps on giving...matches continue appearing over time. That’s a lot of gifts for the holiday! Introducing… Drum roll, please…Ta Da! This year, FTDNA has a new twist on their annual December sales. Not only are there discounted prices, but there is a randomized discount up to $100 off that can be applied ON TOP of the Holiday sale prices! WOW, two gifts in one! 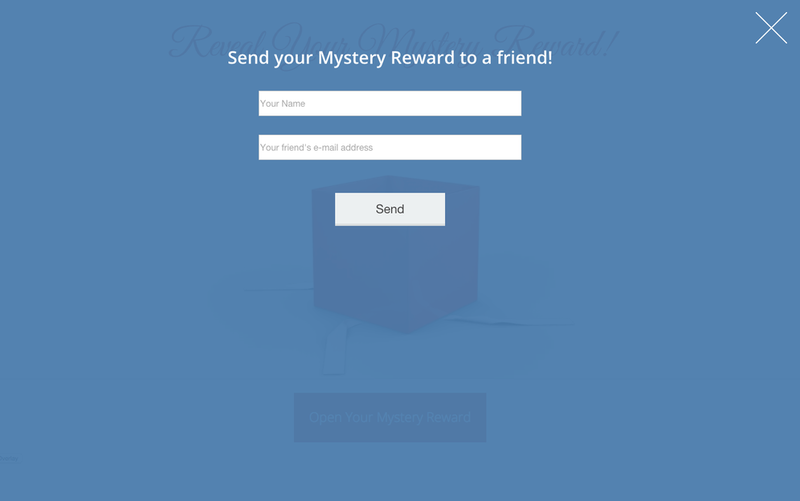 When you click the icon, you'll to go to the reward page (see below) to open the Mystery Reward which can be a savings up to $100. FTDNA will send an email notification to the kit’s primary email address when a new code is available for use or sharing for the next Mystery Reward. WHAT? There’s more than one Mystery Reward? YES! Best of all, there will be a new Mystery Reward every week. Customers can use this Mystery Reward discount, or they can share it with a friend or relative by using the graphic below. BUT WAIT…FTDNA is NOT DONE! In addition, all customers who have purchased the Big Y test will receive a coupon for $50 off another Big Y test. 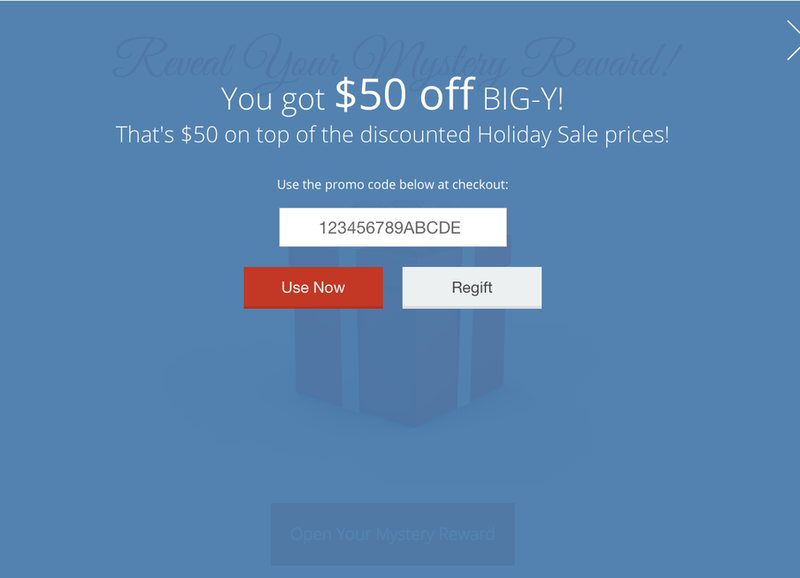 This coupon, like that below, that can be used ON TOP of a sale price during the holiday sale, and it can also be "re-gifted," to a friend, relative or fellow project member. I’ve lost track! How many gifts is that? It is definitely time to order or upgrade your FTDNA test with this amazing sale! Share this information with friends, family and strangers! You never know who else may match you! Hopefully ME! Have a great holiday whichever it may be! Last October 6, seven genetic genealogy bloggers were invited to AncestryDNA’s headquarters in San Francisco for a “Bloggers Day” to learn about the coming changes at AncestryDNA. Two of the items discussed are now implemented. One of the major features is the improvement in AncestryDNA’s algorithm to determine your matches. As Ancestry has about 500,000 sutosomal DNA (atDNA) testers at this time and their threshold (until now) was 5.0 cMs (centimorgans) with Family Tree DNA’s test called Family Finder has a threshold of 7.7 cMs and 23andMe’s threshold is 7.0. This made Ancestry quite liberal in matching people and as a result there were many false positives (IBS). Consequently, any tester received many matches that may not be real matches. Most people will lose about 66% of their matches after the change which is very good! The matches we retain will be meaningful. Before November 19th, I had 17,917 matches, and now I have 4,250 which is a 76% reduction. Not only is this more manageable, I am now more certain that these people actually match me through inherited DNA (IBD). See the following blogs for more details of this meeting from some of those who were present. Although not everything discussed is highlighted here as some changes will be made in the future. Many genetic genealogists have tried since Ancestry began doing autosomal DNA (atDNA) tests in 2012 to have them provide a chromosome feature. Attendees of this meeting reported the same comment by Ancestry that we heard from the beginning which is basically that Ancestry does not believe the common genealogist can understand how to use the chromosome browser. I, along with many other genetic genealogists I know, have been teaching any atDNA tester to use the chromosome features at Family Tree DNA and at 23andMe for nearly five years to help people map their chromosomes and discover which ancestor gave them a particular DNA segment. We have also encouraged any AncestryDNA tester to upload their data to GEDmatch (a third-party tool) in order to have a feature to see where on the chromosomes they match other testers. I have more faith in people…this isn’t rocket science. It can be learned. I am not a science major (didn’t care much for biology in school) and I can understand it. I believe Ancestry’s comment about most genealogists cannot understand chromosome mapping not to be the total story. I have my suspicions as to why they will not do this…and I’m not alone in those beliefs. At the meeting, the attendees were told that this action will take place before the end of the year. However, the improved algorithm actually took place November 19th. DNA Circles creates clusters of test-takers who all match the same common ancestor based on their public trees the matches have. Each person in a circle matches at least one other in the circle. 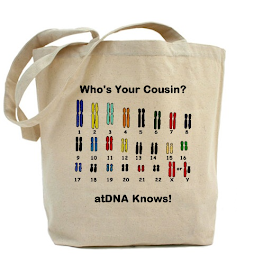 In order to be in the DNA Circles you must subscribe to Ancestry.com, have a public tree and be a DNA customer. Customers are to receive an email about it on Nov 19, 2014, but no one I know did. 2. Click on the question mark upper right. This brings you to a graphic menu. 3. Click on "what can I do with my DNA matches". 4. Scroll down to the paragraph headed "Find DNA evidence for your genealogical research". 5. Click on "Learn more about DNA Circles" at the end of the paragraph. 6. Go to the end of a summary page, click on "check out our white paper on DNA circles". Your matches are downloaded in a CSV (Comma Separated Values), so be sure to save it in some spreadsheet like Excel. · On the right hand side under “Actions”, click on the bar that says: “Download v1 DNA Matches”. Note – If you have written a note on the page, this appears. Download your old match list before AncestryDNA removes those matches. Also consider transferring that data to Family Tree DNA to be placed in another database (you get more matches). You will remain in the AncestryDNA base, however. The cost to transfer is $39 unless you have four others from Ancestry view the transfer process at FTDNA. They do not have to actually transfer for your transfer to be free. 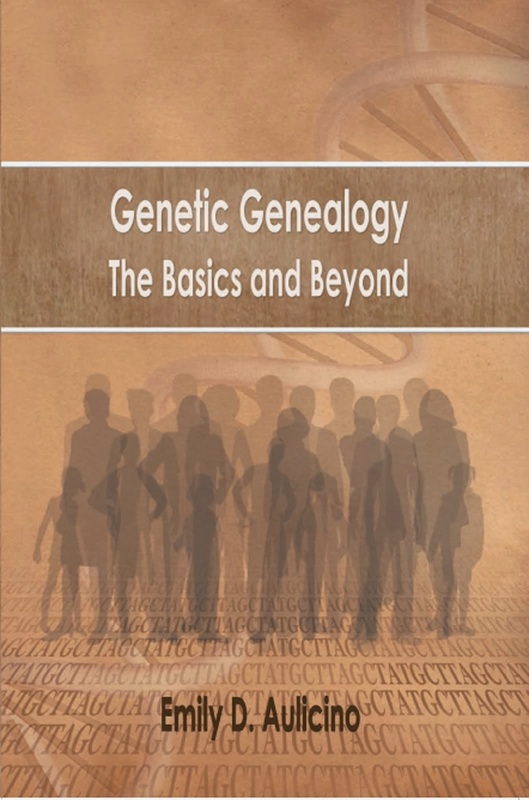 Genetic Genealogy: The Basics and Beyond by Emily D. Aulicino, available at AuthorHouse.com, Amazon.com and Barnes and Noble online in paperback or ebook. You can also order it from any brick and mortar store. Email me personally at: aulicino@hevanet.com with questions. Genetic Genealogy Ireland (GGI) is an event within the Back to Our Past (BTOP) conference. TheAssociation of Professional Genealogists in Ireland (APGI) organized BTOP. 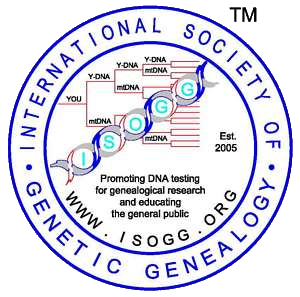 Family Tree DNA sponsored GGI, and members of the International Society of Genetic Genealogy (ISOGG) agreed to speak at their own expense. Maurice Gleeson, originally from Dublin, but currently living in London, is the mastermind behind the twenty presentations given in the DNA area, and he is uploading most every one of them to YouTube, a few each week. The following is just a quick mention of what you can hear online with the accompanying slide presentations. Maurice, Debbie Kennett, and Katherine Borges, all of ISOGG, provided a variety of topics on helping the audience decide which test works best of them as well as an understanding of DNA for beginners. Debbie sold her book The Surname Handbook and DNA and Social Networking. Maurice also covered how DNA can help with adoption mysteries, and I explained how autosomal DNA can help you locate cousins. I was fortunate to have sold all the books, Genetic Genealogy: The Basics and Beyond. 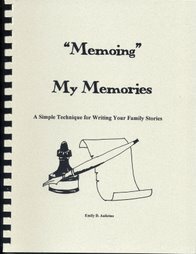 My book is also available online at Amazon.com and Barnes and Noble in paperback or e-book. Spencer Wells, the keynote speaker, gave us an overview of the Genographic Project he operates at the National Geographic Society as well as some details for testing 100 persons in county Mayo. Brad Larkin’s presentation DNA versus The Irish Annals focused on some major Irish genealogical groups from the Irish annals such as Uí Néill and the kings of Connacht, Munster, Leinster and Ulster along with some Norman lineages as well as how much modern DNA connected with these lineages has been sampled. Most ancient samples are haplogroups G and I. Today, haplogroup G is virtually gone in Ireland and haplogroups I are present with R dominating. Brad is also a member of ISOGG. Paul Burns, ISOGG member, shared the results of his Byrne/Burns/Beirne Surname Project while John Cleary of ISOGG explained how to enhance your Y-DNA results through surname and haplogroup projects. Cynthia Wells, along with Maurice Gleeson, spoke about reconstructing the Irish-Caribbean ancestry. Cynthia is an ISOGG member. We all love success stories, and Rob Warthen, creator of DNAadoption website and DNAGedcom, explained how he located the family of his wife who was adopted. She spoke to the group as well. Michelle Leonard manages the Fromelles Project dedicated to identifying the fallen soldiers of World War I by using DNA. Her work, which she terms as a labor of love, has resulted in much success in uniting families with the deceased soldiers. Catherine Swift of the University of Limerick and a historian spoke on the Emerging dyanasties in a maritime world – hunting for Brian Boru’s genetic legacy. She champions a stronger connection between the genetic genealogists, and historians. I couldn’t agree more! Many other speakers will be of great interest to the genealogical community as well as for those interested in their Irish roots. Patrick Guinness, author and historian spoke about The Clans of the North West and their DNA profiles, clarifying that the DNA of so many men in northwestern Ireland may not be a result of Neill of the Nine Hostages. Tyrone Bowes of Irish Origenes showed us how to pinpoint our Irish origins while Gerard Corcoran explained how to use genetic genealogy to map Irish migrations. Daniel Crouch of the University of Oxford spoke on how the genetic analysis of the People of the British Isles yields historical and physiological insights. Kirsten Bos of the Universitat Tubingen showed us how the plagues of our ancestors are revealed through ancient DNA. Brad Larkin who runs The SurnameDNA Journal predicted the future of genetic genealogy. As you can see, the conference covered a large variety of topics. You can also view the presentations from 2013. Visit the GGI site and immerse yourself in the knowledge of this quickly growing field. On Monday after the conference, Gerard Corcoran, who is my DNA cousin as he just happens to have a Y-DNA match to my paternal first cousin, constructed an event-filled day for our group. 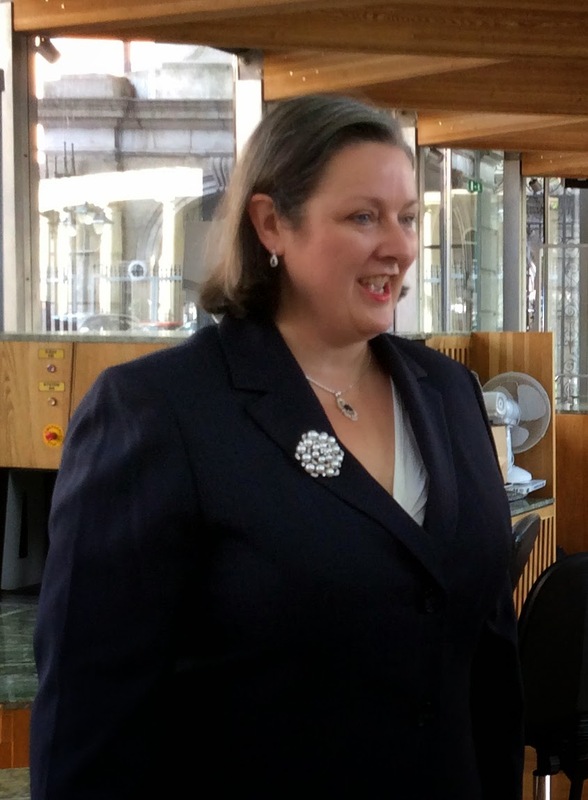 We began by visiting the National Library and then the National Parliament which is referred to as Dáil where we were greeted by Marcella Corcoran Kennedy a Teachta Dála (member of parliament) for the constituency of Laois-Offaly. She is also a DNA cousin of Gerard. Photos were taken with her outside of Parliament before our tour. 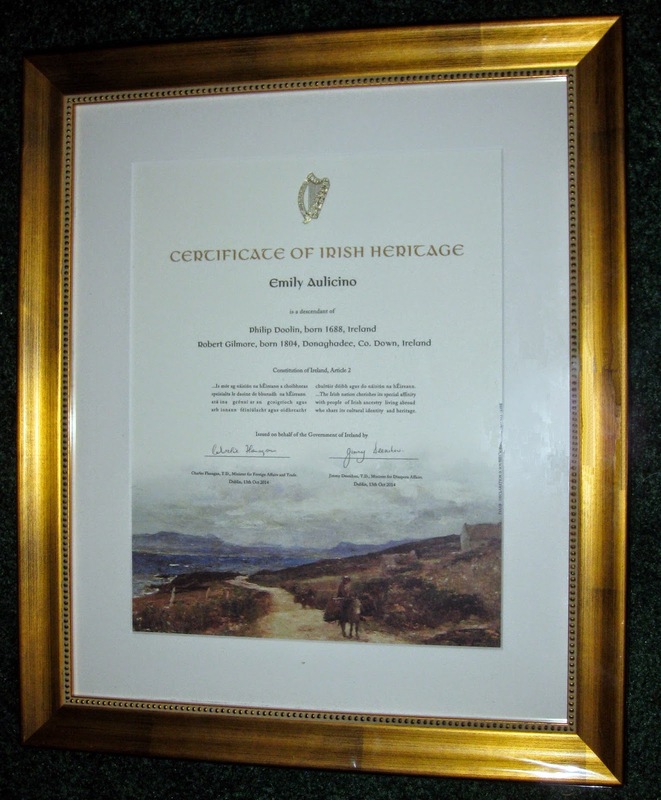 Framed certificates of Irish ancestry were given to three of us, thanks to Derrell who located members of our group who had Irish ancestors, and many thanks to the concerted effort of Gerard for having them produced. In the afternoon our group traveled to Dun Laoghaire Rathdown (DLR) where we had a wonderful lunch as guests of Gerrard at the Kingston Oliveto Restaurant and where we met Kingsley Aikens, CEO of Diaspora Matters and a promoter of the National Diaspora Centre. It was a delight to hear him speak about diaspora and the work being done. (I must say that of all the places I have traveled, the Irish have made me feel more welcomed as a foreigner than any other country where my ancestors have lived.) We then received a guided tour of the new DLR Lexicon, a very modern library with beautiful views of the waterfront. The plan is to open the library December 5th. 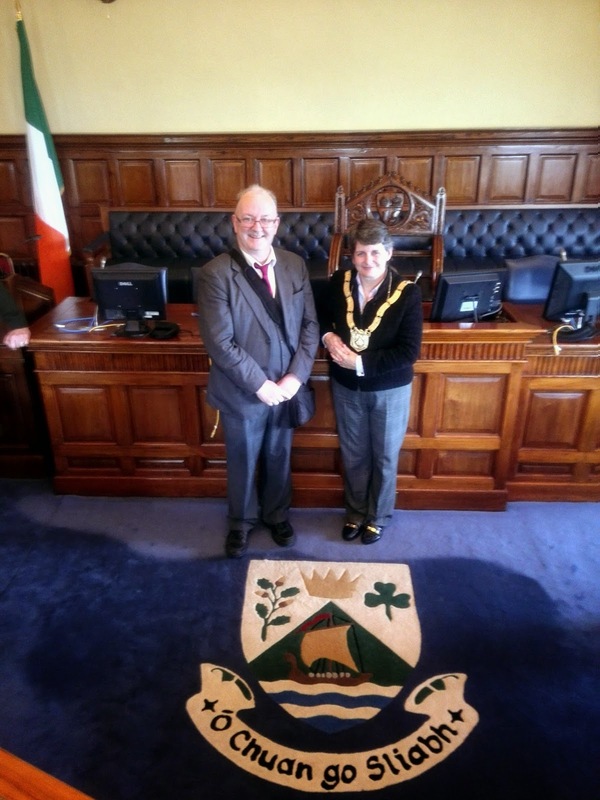 By 3:30 p.m. (15:30), we met Cathaoirleach, Cllr. Marie Baker and John Hamrock of the Genealogical Society of Ireland at the Dun Laoghaire County Hall. Our tour included visiting her council chambers where we learned about what business was conducted and were able to ask questions. Many photos were taken and she was kind enough to take a DNA test. We then returned to the Dublin City Center where we dined at Ka Sheng on Wicklow Street as guests of Ancestry.com. Over the years I have attended many conferences and it is always a pleasure to see acquaintances, but even better is to meet new ones. This trip was no different. I met some wonderful people from academia and do hope to have more time in the future to to chat. But, beside them, I always find it very interesting to meet the people in my audience. One such person greatly stands out at this conference. Patrick C. Kennedy, a wonderful Irish gentleman, former mayor of Limerick and currently a Councillor, spent all three days listening to every DNA lecture. He shared with many of us his political scrapbook which included a photo of himself as a senator meeting Senator Ted Kennedy of the US. Cllr. Kennedy decided to take a Y-DNA to learn more about his all-male Kennedy line. He was a recipient of a free test thanks to the project manager of the Kennedy Y-DNA project who offered free tests to male Kennedys attending the conference. Bennett Greenspan and Max Blankfeld opened the Family Tree DNA Decennial Conference by recognizing all those who have attended all the conferences and those who have been project administrators for ten years. 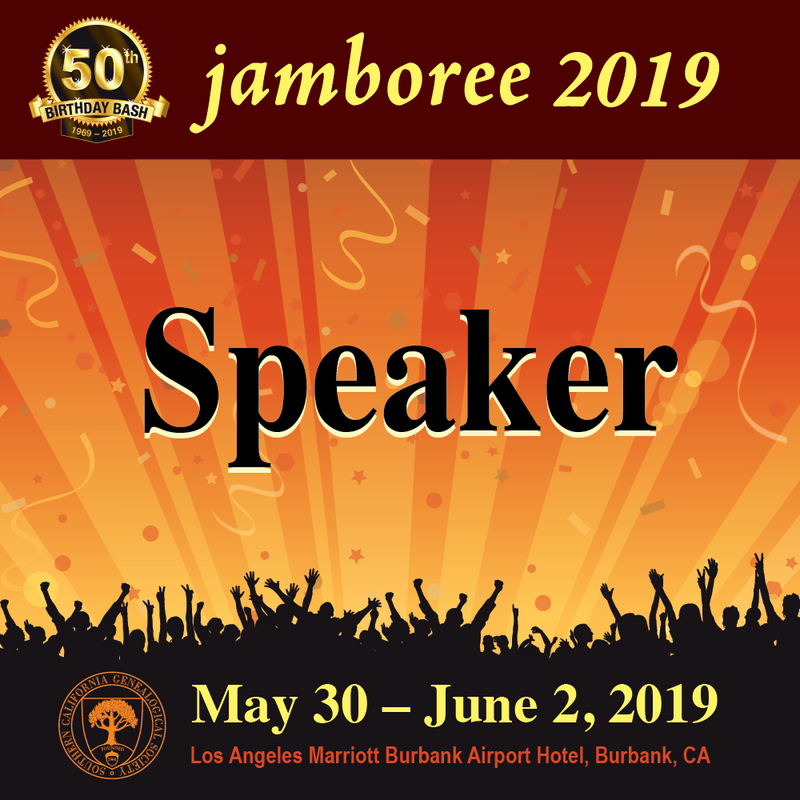 They recognized the first time attendees and a couple of new DNA books, including mine entitled Genetic Genealogy: The Basics and Beyond along with a soon-to-be published book entitled NextGen Genealogy: The DNA Connection by David R. Dowell. Over 180 project administrators and co-administrators attended this year, and internationally there were representatives from Canada, Finland, Germany, Netherlands, Mongolia, and Kazakhstan! serendipitous that this new venue, the Hyatt North Houston, welcomed our group in such a manner. The following are some of the highlights at the Family Tree DNA Conference and not a day-by-day blow of the events. Usually at some point, most of the presentations are posted on the FTDNA webpage. However, I greatly encourage you to visit Jennifer Zinck’s blog Ancestor Central. She did tremendous job writing as the conference occurred! Thank you Jen for this wonderful compilation! DR. Spencer Wells, Scientist in Residence at the National Geographic Society, and head of the Genographic Project stated that there are 6,000 languages spoken in the world today and if we can understand how they are related, we can more clearly understand how the people who use those languages are related. The isolated populations which tend to be less mixed with other populations are the key to understanding these connections. He is majorly concerned about cultural extinction as by the end of the century 50-90% of the 6,000 languages will be lost through cultural assimilation. Cultural diversity defines us as a people, and once lost, it is gone forever. Some cultures have been instrumental in plant knowledge which has helped doctors create medicines. Each culture has a great value to the make-up of our species. Currently the National Genogrphic Project has 75,000 indigenous testers and 625,000 public participants. He reported that genetic sequencing is moving five times faster than Moore’s Law would predict. That’s five times faster than technology, and we all know the evolution of the iPhone has not been slow! For the future, Geno 3.0 is coming and a new SNP chip. Spencer predicted that in a few years the whole genome sequencing will be $100 as it is really cheap with the X10 machine. National Genographic is continuing to collect indigenous samples and is planning a trip to Southeast Asia next year. AND, his fourth book The Ghost of Genghis Khan is in the works. Privately Spencer stated to me that he considers his greatest work to be the discovery of Genghis Khan’s DNA. I can’t wait to read the book! 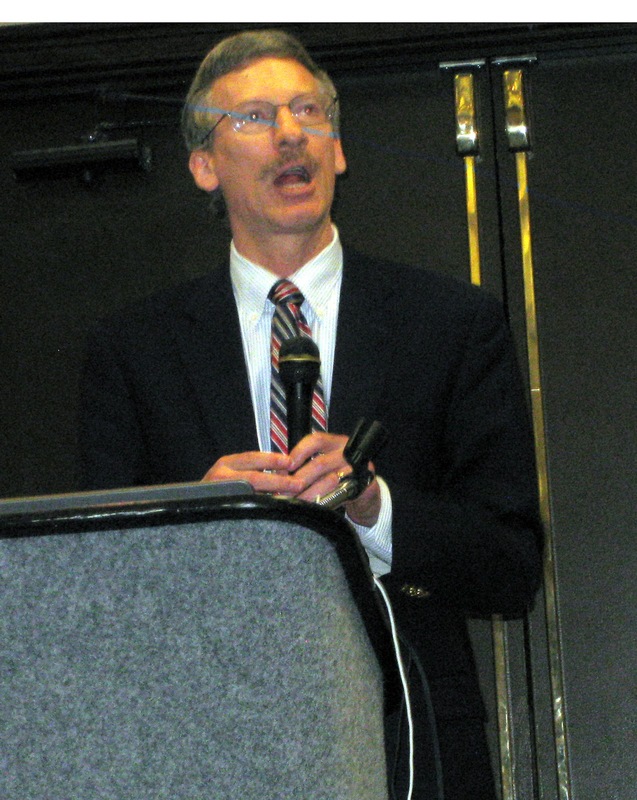 Dr. Michael Hammer, a research scientist in the ARL Division of Biotechnology at the University of Arizona, also holds appointments in the Department of Anthropology and the Department of Ecology and Evolutionary Biology as well as being the Director of the University of Arizona Genetics Core facility. He pioneered the use of the Y-chromosome as a genealogical tool and is actually responsible for Bennett and Max starting Family Tree DNA. West European Hunter-Gatherers (WHG) – based on an 8,000 year-old genome from Loschbour, Luxembourg. This population includes the Swedish hunter-gatherers and a Mesolitic individual from the La Brana Cave in Spain. Early European Farmers (EEF) – based on a 75,000 genome form Stuttgart, Germany which belongs to the Neolithic Linearbandkeramik culture. This population includes Oetzi the Iceman and a Neolithic Funnelbeaker farmer from Sweden. Ancient North Eurasians (ANE) – based on the 24,000 year-old genome from Mal’ta Siberia. This population includes a Mal’ta boy as well as the late Upper Paleolithic sample from Central Siberia called Afontova Gora-2. Mal’ta boy (MA1) is genetically similar to Native Americans. Dr. Hammer mentioned that all Europeans are a mixture of the three populations. He further stated that Ancient North Eurasians (ANE) are equally distributed across Europe including the British Isles and that the hunter-gathers (WHG) probably had blue eyes and dark skin. The Early European Farmers (EEF) had dark eyes with lighter skin. These findings so far indicate that Haplogroup I was pre-agriculture and that Ancient North Eurasians (ANE) are haplogroup G2 in southern France, Spain, Northern Italy and North Germany as well as Haplogroup I in France and Haplogroup E in Spain. There was no R1b at this point, and G2 dominated at this time. It is clear that the R1b haplogroup is relatively new as most samples from the more ancient times in Europe were G and I so far. He spoke about getting informed consent and not promising what cannot be delivered including the guarantee of anonymity. He mentioned that standards will probably be developed as practical guidelines to help us. *IBS segments are segments that are handed down for generations unmixed or segments which are too common in a haplogroup. Both situations make it difficult to impossible to determine a common ancestor. Robert Baber had an excellent statement in his presentation: Our ancestors never completely died. They continue to live in our DNA. He focused on building a mutational graph and converting it to a genealogical tree. In order to do so you must know the common ancestor at the top and understand the mutation rates of the specific markers. Katherine Borges, director of ISOGG, gave a historical view of the organization and presented Bennett and Max with a plaque of appreciation for their work over the last ten years. ISOGG tree is in academia, and it is very apparent that Alice'a Crew is doing it right! The tree was viewed from all continents and by universities and genetic laboratories. Read lengths could improve: Illumina is migrating the HiSeq platform to 250bp (base pairs) reads and there are plans to grow to 40bp reads. Eventually it will make sense to sequence entire genomes instead of the Y-chromosome. As it is becoming impossible to predict haplogroups even with a Y-111 and especially for some R haplogroups, new Deep Clade panels will be constructed by those working with the haplogroups. These panels can contain 50-60 SNPs and will be priced very reasonably at $1-$1.50 per SNP. Bennett stated that there could possibly 6 Deep Clades for R and the current focus is on building a SNP panel for R-M222. Haplogroup administrators can formulate their list and submit it to FTDNA so please contact FTDNA with your list of suggestions for a Deep Clade SNP panel. This will be so much easier and cheaper than selecting individual SNPs to determine more detailed haplogroups! YEAH!!! The maximum size for your suggestion is 1,000 characters. Thank you FTDNA for this suggestion link. As I have compiled a list of administrators' requests for the past two years and submitted them to the company, this releases me from my self-appointed quest! Listening to the customer's needs (including administrators) is the best thing a company can do to keep growing. We all know that staff at FTDNA does not have the time nor experience to do what many of the administrators and testers do with all this DNA information. Many admins have created software to assist in finding matches as well as techniques to make the process more understandable for the tester. FTDNA’s buzz word for the future is their goal of creating a DNA Census and not a survey. By testing everyone, a DNA census will be produced where spotty testing is only doing a survey. To spur the interest they have reduced the autosomal transfers from 23andMe and AncestryDNA to $39 or by getting four people to look at transferring, you get your transfer FREE. Encourage everyone to test and those who have at other companies to transfer their results to FTDNA. In doing so, they will be able to fish in more ponds as each database is different. This means more matches for everyone and a higher likelihood of finding more recent cousins. What a great benefit for adoptees as well! Another feature this year is a new version of the Gedcom (family trees). The reason for doing so is to implement a new search feature which will allow a person to search all public trees. I have personally found common ancestors in the past by using the Gedcoms so this will be a great feature if more people upload their data. You do not have to have a software program which creates a Gedcom; you can input the information on your family directly on the site. This means, of course, that you can change, correct, add or delete information without uploading a new tree. YEAH! A function entitled myGroups will allow contact within group projects. At this point the feature is designed for use by project administrators and their testers for particular projects. I typically run email lists for any tester in my individual projects including men who are connected to the line but who cannot test due to a different surname and women who are related to the surname, but, of course, cannot do a Y-chromosome test so I am not sure how this will improve my particular situation, but it does allow testers to carry on a dialogue which would be of interest to many in the project. The Alpha testing for this will begin shortly, and FTDNA is looking for volunteers to test it and help remove any bugs. Just contact FTDNA if you are interested. Many other grand presentations were given, but this hits the highlights. All of you will just have to become administrators of a project and join us next year for the 2015 conference! Now is the time to purchase your DNA test kit or upgrade the one you have! Y-DNA testers should consider a minimum Y-37 marker as this test puts you within genealogical time. However, if you are a member of a common haplogroup or if you match many other testers at the Y-37, consider upgrading to a Y-67 or Y-111. Doing so could put you in a more defined group with whom you would more closely match. If there are matches which are a bit beyond the threshold for a Y-37 match, they could appear with a Y-67 as the threshold allows more differences. OR, your match at a Y-67 could have no further differences. This sale ends soon, so jump into the gene pool with the rest of us! Several updates were posted today at Family Tree DNA. Of special interest is the Big Y settings and the name changes in the bio-geographical groups. Note the Big Y settings and Search...something new! 2. Updated the retail price for Y-DNA25 from $229 to $109. This will put it in line with our other Y-DNA product prices. Upgrade prices were also edited accordingly. myOrigins Introduces New Population Cluster Names! Based on your feedback, we simplified the population cluster names on myOrigins! It will now be easier than ever to share (and pronounce) your ancestral origins. Please note: We did not make any changes to the underlying myOrigins data. In other words, if you were 20% Anatolian Crossroads before, you will now be 20% Asia Minor. Family Tree DNA, the genetic genealogy arm of Gene by Gene, and the world leader in the field, announced today that it has processed over 1,000,000 DNA test kits results for genealogy and anthropology purposes. This historic amount includes Family Tree DNA’s tests as well the processing of public participation samples for National Geographic’s Genographic Project (www.genographic.com). Family Tree DNA is the Genographic Project’s genetic testing partner. The million-test milestone was reached this week during the company’s Father’s Day sale, which includes the Family Finder test currently discounted at the affordable price of $79. The Family Finder test finds relatives within 5 generations, and gives a detailed geographic breakdown of where one’s ancestors came from, by comparing a person’s DNA to the DNA of other users in Family Tree DNA’s massive database. Family Tree DNA offers the widest range of DNA testing services in the field of genetic genealogy.The company prides itself on its commitment to the practice of solid, ethical science. Family Tree DNA has the largest database in the world for matching purposes, which means increased chances of finding long lost relatives. In that regard, Family Tree DNA is an important resource for the three million people in the United States who either were adopted or descend from adoptees. About Gene By Gene, Ltd. Founded in 2000, Gene By Gene, Ltd. (http://www.genebygene.com) is a CAP-accredited and CLIA-registered genetic testing company that serves consumers, researchers, and physicians. Gene by Gene offers a wide range of regulated clinical diagnostic tests, as well as research use only (RUO) tests. The Family Tree DNA division (http://www.familytreeDNA.com) of Gene by Gene is a pioneer and leader in DNA testing for genealogy and ancestry. The company operates the largest genetic genealogy database in the world and has provided more than 5 million discrete genetic tests. Gene by Gene is privately held and headquartered in Houston, Texas. Family Tree DNA's Father's Day Sale!!! The Father's Day Sale is here! 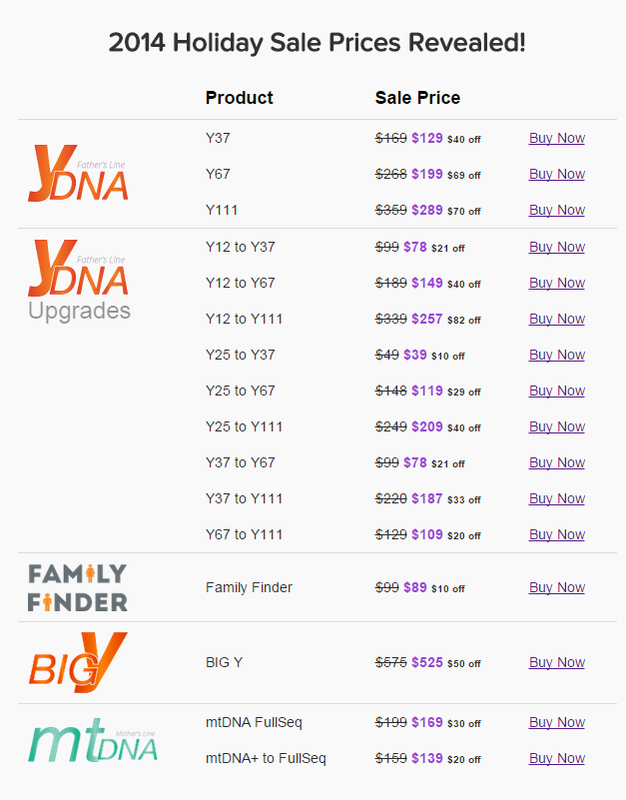 Buy Family Finder now for only $79 and Big Y for only $595! For a limited period from 9th June to 17th June the Family Finder test will be reduced from $99 to just $79. The Big Y is reduced by $100 and if you previously ordered a Big Y and will order another, you receive an addtional $100 off! Additionally, customers that have already purchased a Big Y test will receive a coupon for $100 off another Big Y! This coupon is valid through 6/17/2015 and can be used on any Big Y order. The best part is that if you combine it with the Father's Day sale, customers can get Big Y for only $495! · Big Y matching is coming! Over the course of the next two weeks we will begin a phased release of Big Y matching so you can directly compare your comprehensive Y-DNA results to those of other Big Y test takers. The key to identifying all new SNPs and subclades is finally here! · Family Finder was recently improved with the release of myOrigins, an all new ethnicity tool allowing you to compare your ethnic breakdown to that of your matches while providing more detailed information on your ethnic heritage than ever before! I just noticed today that Family Tree DNA is offering a great sale on transferring your Y-DNA test results from any company that used the Sorenson 33 or 46 marker test. That would include results from Ancestry.com, GeneTree and Sorenson's SMGF. The transfers are $19 for the 33 or 46, but if you wish to add the Y-DNA 25 marker or Y-DNA 37 marker along with the transfer that is $58. A STEAL! When your DNA results are transferred from another company, your stored test sample is not transferred. By adding the Y-25 or Y-37, you receive a kit and will have enough sample to store for future upgrades and tests at FTDNA. Choosing the 25 or 37. The 25 marker test provides matches for you on the all-paternal line that could be within this last 600 years where the Y-37 marker would narrow that time to within 400 years, give or take. These are estimated times as every family can be different, but the more markers you test, the closer in time the common ancestor can be. If your haplogroup is not a common one, the Y-25 marker could be enough, but if your haplogroup is common, I would suggest you go with the Y-37. Frankly, if the price is the same why would you do a Y-25? At this point in time, Family Tree DNA is the only major testing company who offers Y-DNA and mtDNA test, along with the ability to upgrade those tests if you start at a lower level of markers. For more detail see Family Tree DNA. Ancestry.com announced that it will discontinue some of its services by September 5, 2014 to focus on its "core products and mission". Y-DNA and mtDNA testing - Raw data can be downloaded. This leaves only Family Tree DNA available for these types of tests among the three most popular DNA testing companies. The blogg genealogyinsider has detailed the situation and the site has a link to Ancestry.com's blog post on the subject. Visit the above link for more information and spread the word as it may affect others you know. There is information on what to do and refunds where applicable. From time to time, I post DNA success stories on my blog. While speaking in John Day, Oregon a few weeks ago, I met George Larson who agreed to share his story with all of us. Thank you George! Back in February, I got an email from a cousin who just got her results back from 23andMe. She was quite excited, and strongly recommended that I take the test. I had been intending to take some DNA test for quite a while, but was still undecided about which company, and which test to take first. I had read up on the subject only lightly; I wanted to make a good decision, but was feeling no great sense of urgency. There was only one pressing question in my mind that I thought DNA testing might resolve. One of my biggest closet skeletons involves my great-grandfather’s birth in 1841, in Oslo prison. His mother was doing time for stealing potatoes and other food during a famine in Norway. The facts are these: Ole Larson was born 7-1/2 month into his mother’s 8-month sentence. At his baptism in the prison chapel, his father was named as Lars Paulsen (his mother’s husband and father of Ole’s six siblings). Maybe I should have left it at that; after all, I had primary-source evidence in the minister’s own hand. But a nagging doubt remained. The mother, Anne Larsdatter, was initially charged more than ten months before she entered Kristiania prison on April 24, 1841. In the interim, her case went through two unsuccessful appeals, in two courts located in Oslo (Kristiania). 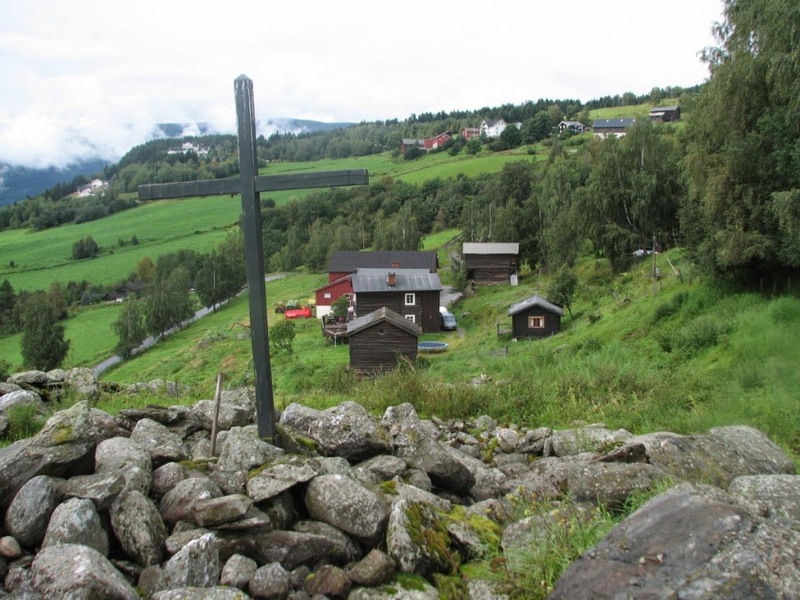 Anne’s home was in Gudbrandsdalen, over 150 miles from the capital city. If Ole’s baptism record was correct, she must have been at home with her husband six weeks or less before she entered prison. Some further evidence of this would be reassuring. Keep in mind that there were no railroads or any mechanized transport at that time. From Anne’s home to Kristiana would in itself have been a journey of two weeks or more, traveling (as she must have) on foot, or in an oxcart or wagon, under military guard in at all times. As for the conditions endured by prisoners, I’m sure they were not unlike those described in fiction by Charles Dickens or Victor Hugo: terrifying to anyone, let alone a 40-year-old country woman going through pregnancy and childbirth. It is sad to imagine what my ancestor must have gone through, even more devastating to think that her son may have been conceived in an act of violence. But I digress. My lineage in question is all male, suggesting a Y-DNA test might be the best option. But, could I find a potential relative who had taken or would be willing to take the test? It would be at a distance of fifth cousin, probably in Norway, and would need to be in an “all-male” lineage. If I could even find a willing candidate, I would probably have to pay for his test myself. So at my cousin’s urging, even though it was not my most desired type of test, I took the plunge with an autosomal DNA test instead, with 23andMe, since that was the company my cousin used. My results came back, and - what are the odds? – The very first “DNA relative” I made contact with gave me the corroborating evidence I needed -- before I even asked! The initial report listed over 400 such “DNA relatives,” other members whose test results show a certain level of matching DNA segments. On my list, it ranges from 12.8% with my first cousin, to 0.15% for predicted “3rd to distant cousins” In the three months since my test, the list has grown to almost a thousand predicted cousins. I can’t view most of the names (they were kept private by the users), but of the hundred or so “public matches” (made their names visible to all members), I didn’t recognize a single one. That surprised me a bit, since I know the names of all or nearly all first and second cousins, and a good many third (especially on the Norwegian side). The 23andMe website supports sending messages to any members, even those whose names are private. One of the “public” names, though, did catch my eye: Joanne Lillevold, a U.S. resident with origins in Oppland, Norway, among other places, was estimated to be my third to fifth cousin. Lillevold is obviously a Norwegian farm name, although I had never heard it before. I knew it was not related to the farm name Lillegard, which is important in the Larson family story, but even so, the similarity prompted me to make Joanne Lillevold the first of my new “DNA relatives” that I attempted to contact. What luck that she turns out to be 1) a documented cousin, 2) an avid family historian, and 3) a prompt and generous correspondent. I sent Joanne a message, inviting her to view my family tree website, and asking about her background, in particular the Norway connection. Within a day, she replied that she had identified our common ancestors, namely Svend Poulsen Lillegard (1702-1756) and his wife, Marit Poulsdatter Harildstad. Since those two are my fourth great-grandparents and Joanne’s fifth, she correctly calculated that she and I are fifth cousins, once removed. More important than the precise relationship, our connection provides crucial supporting evidence in an area where I was still disturbingly uncertain. With lots of help, I had already proved by documentary evidence that my second great-grandfather (according to the baptism record), Lars Poulsen, b. Flaate (c. 1794-1855), was a grandson of Svend Poulsen Lillegard. 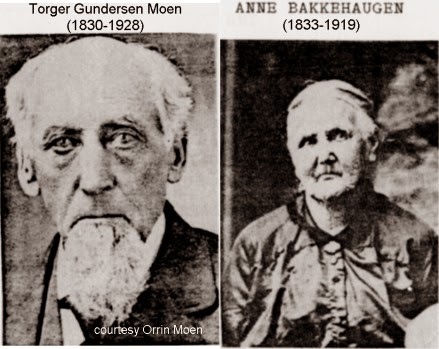 Lars Poulsen married Anne Larsdatter Skurdal, and they raised their family as tenant farmers of Skurdal. But his father was born at Lillegard, son of the same Svend Poulsen, and brother of Joanne’s ancestor. All this in spite of the unrelated but similar-sounding farm name. My nagging doubts about the paternity of my great-grandfather are now laid to rest. With DNA evidence to corroborate the baptism record, there can no longer be any doubt that Lars Paulsen was the biological father of Ole Larson. Tusen takk (a thousand thanks) to my DNA-discovered cousin, Joanne Lillevold of Fergus Falls, MN! George Larson as a wonderful blog entitled Ole's Blog.